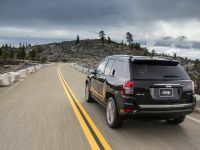 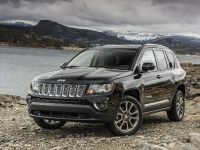 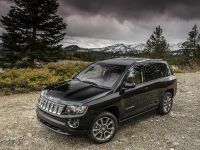 2014 Jeep Compass will be now equipped with a 6F24 six-speed PowerTech automatic transmission and will include refined exterior and interior. 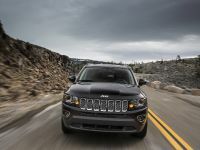 Due to the smoother shifting the Compass will deliver enhanced driving performance and comfort. 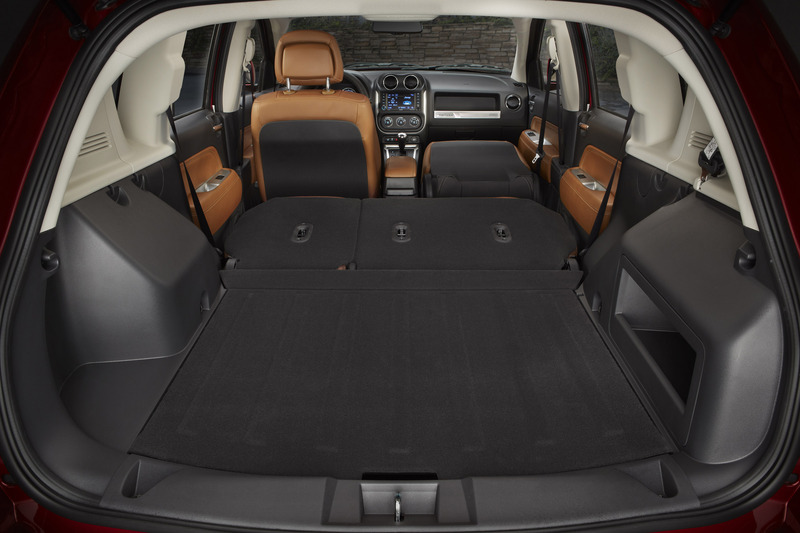 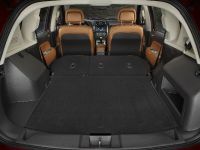 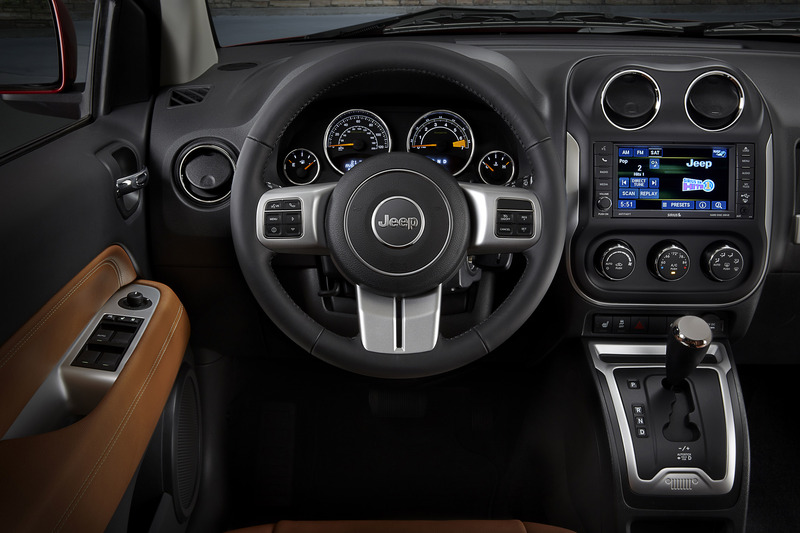 Other updates include standard front-seat-mounted side airbags and available ParkView rear backup camera. 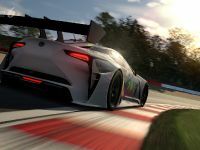 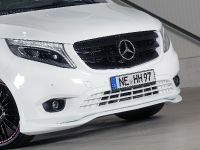 The latter will be standard on Limited models. 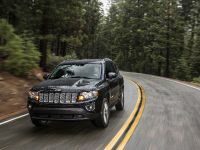 Additionally, there is also wide range of safety features included which will help the driver in the city and on off-road trails. 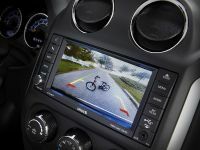 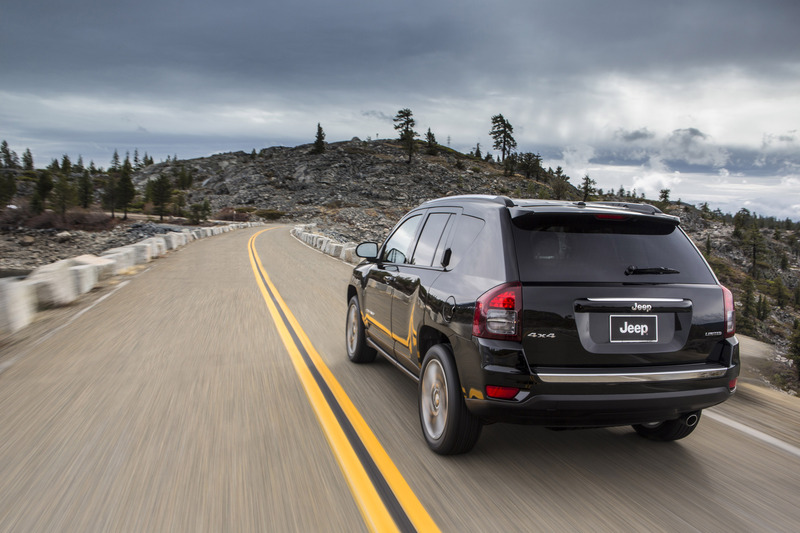 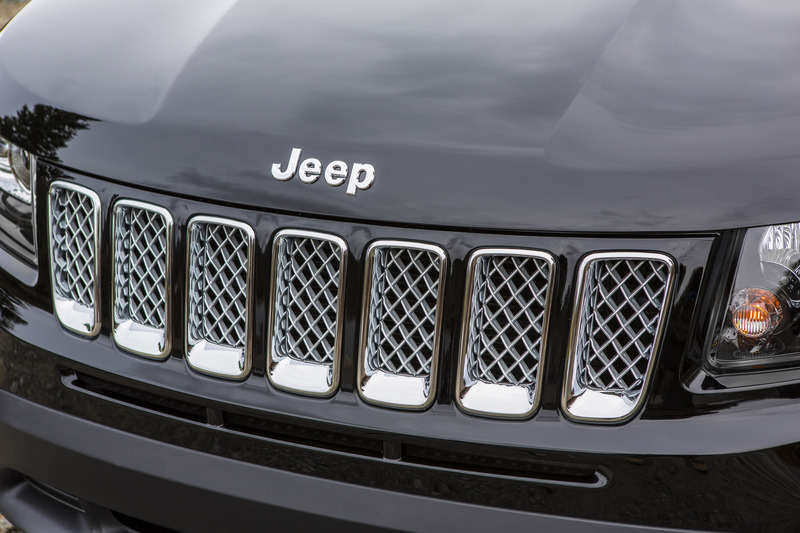 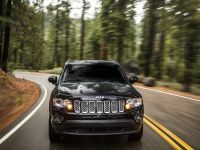 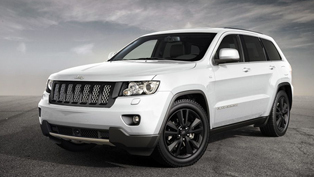 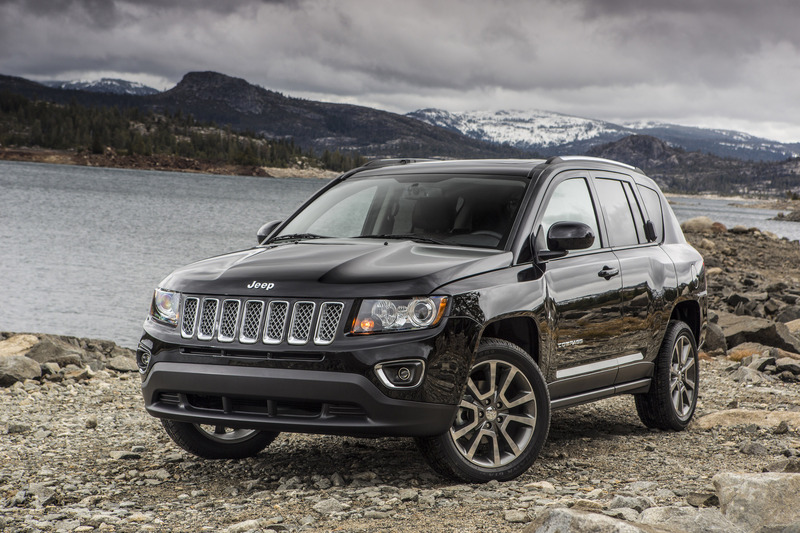 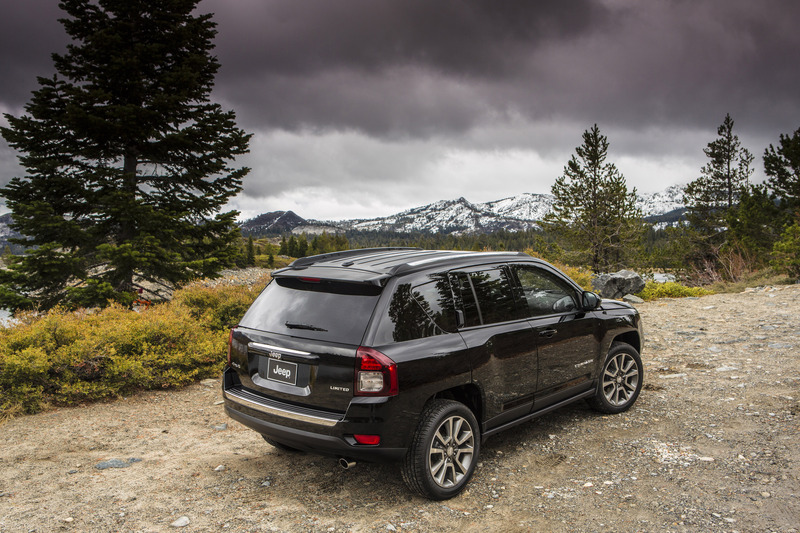 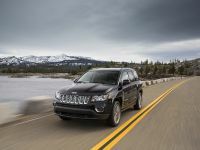 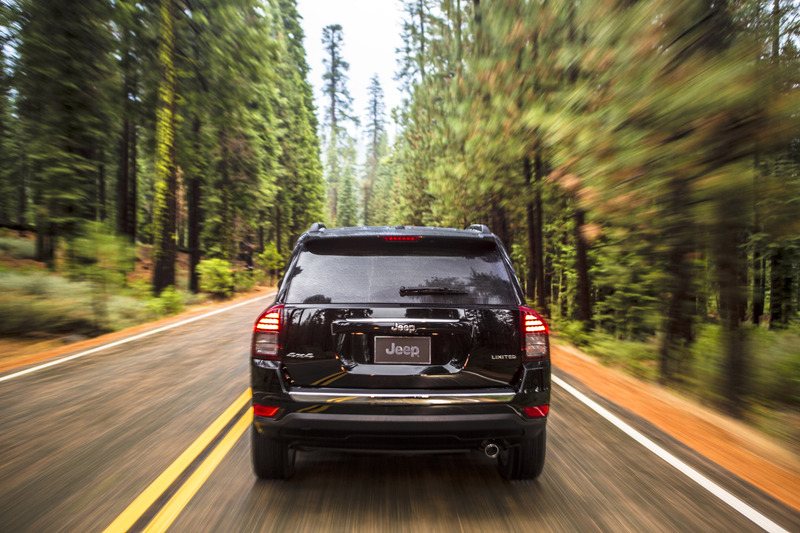 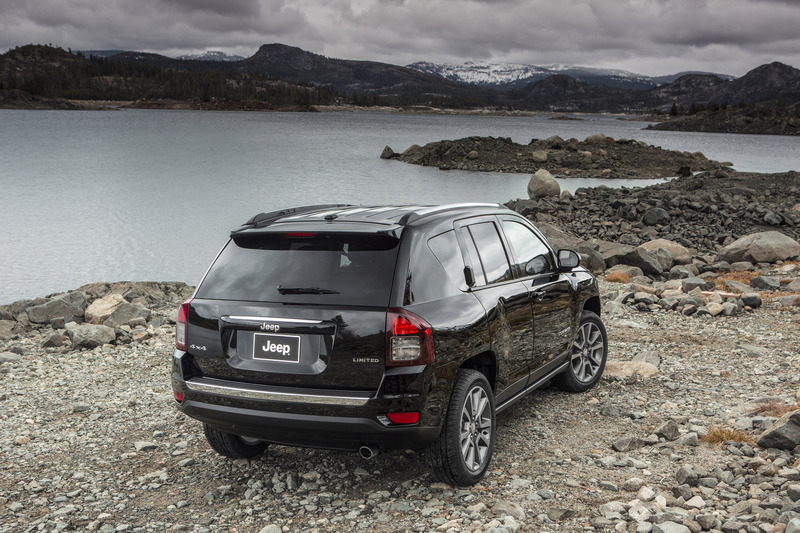 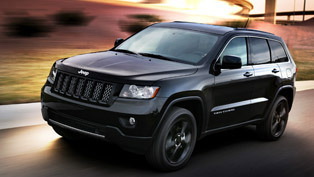 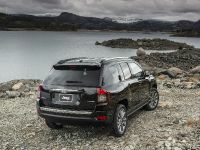 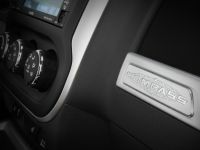 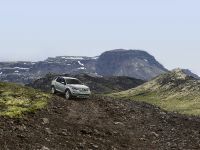 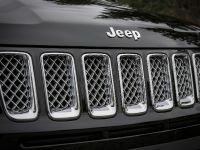 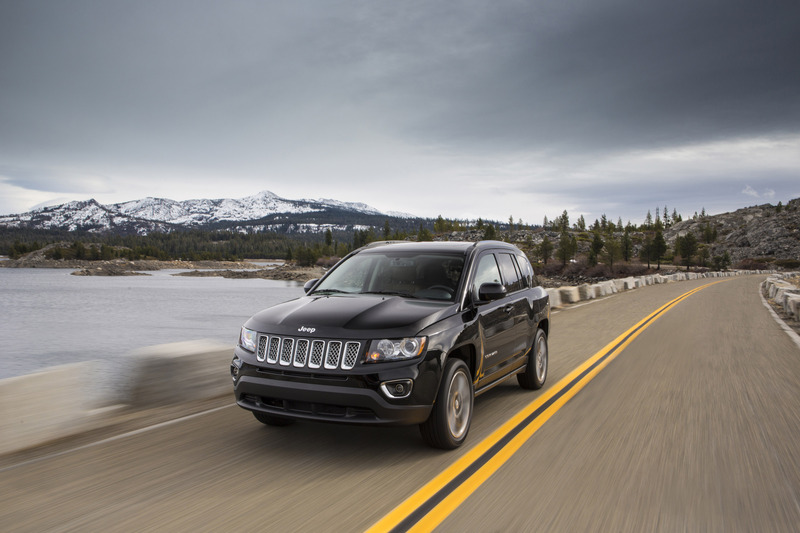 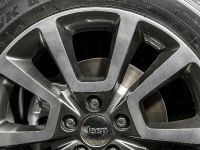 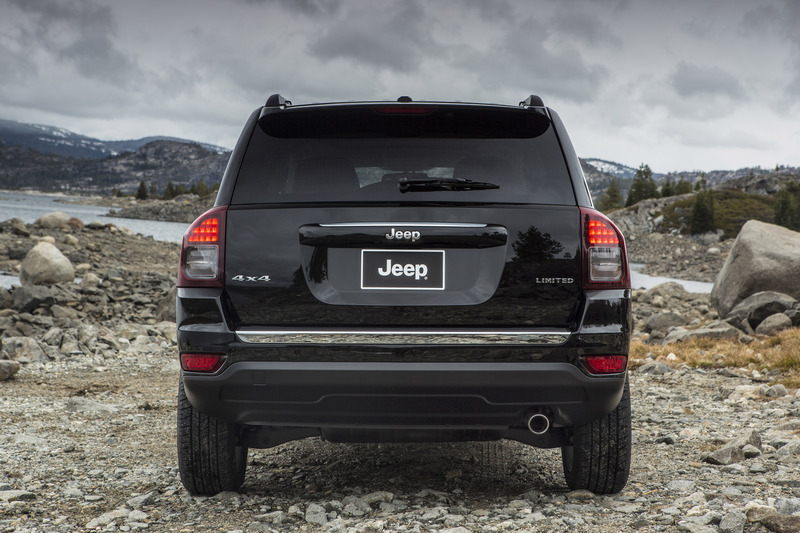 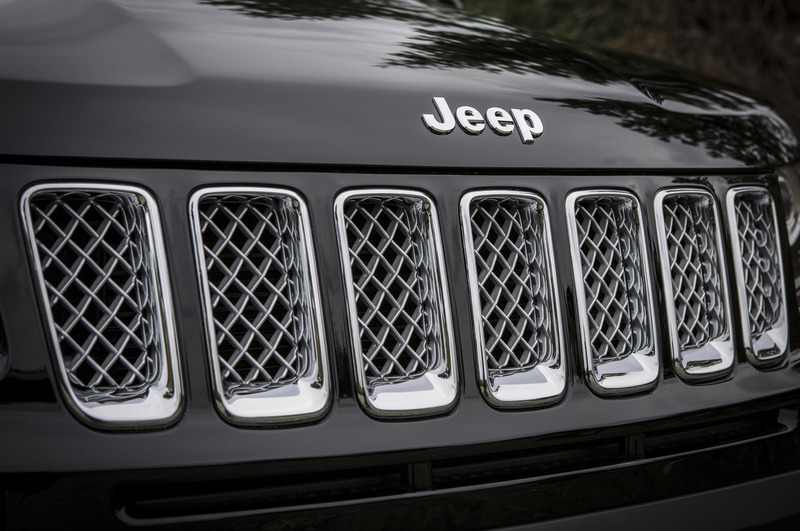 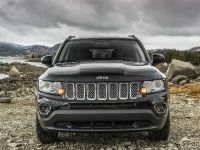 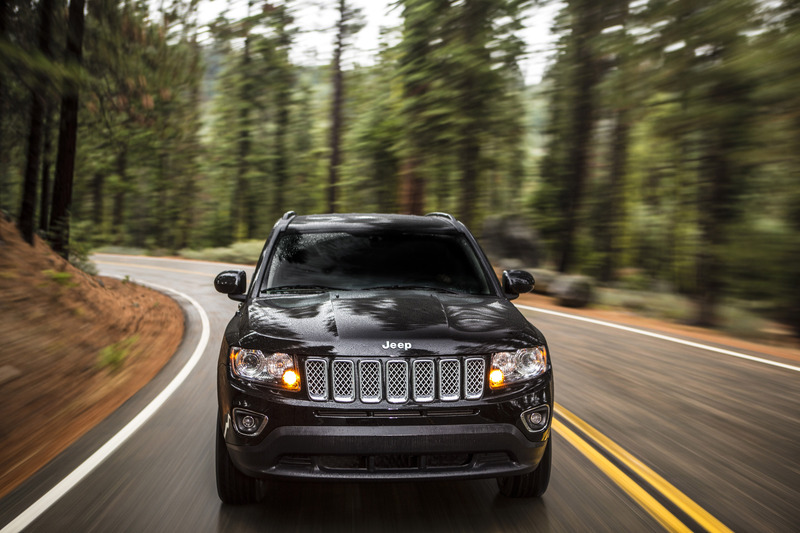 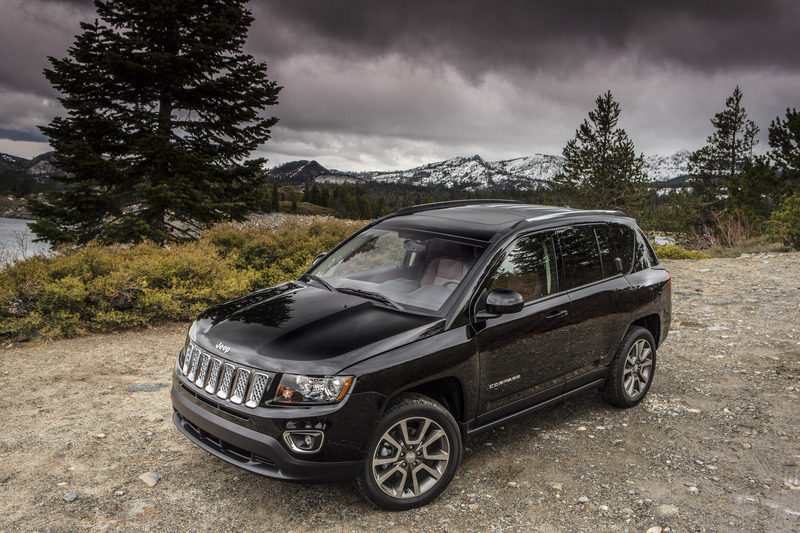 Furthermore, Jeep introduces new trim level called Compass North version which will join the Sport and Limited models. 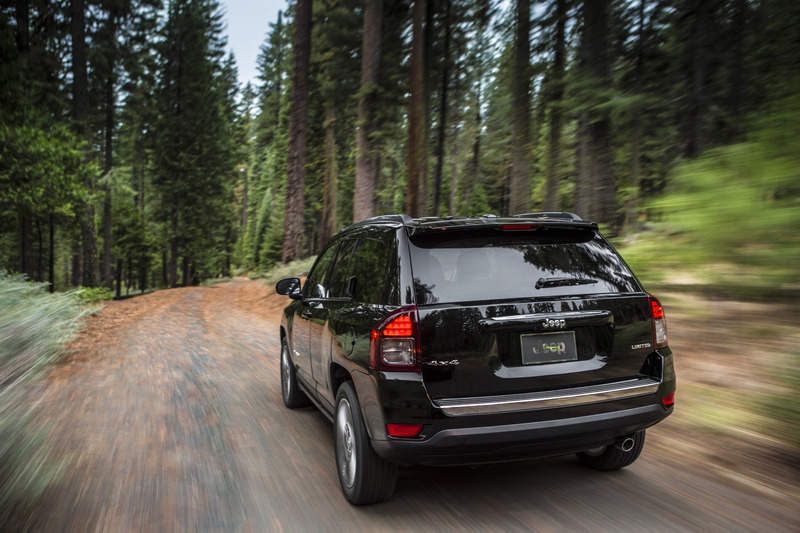 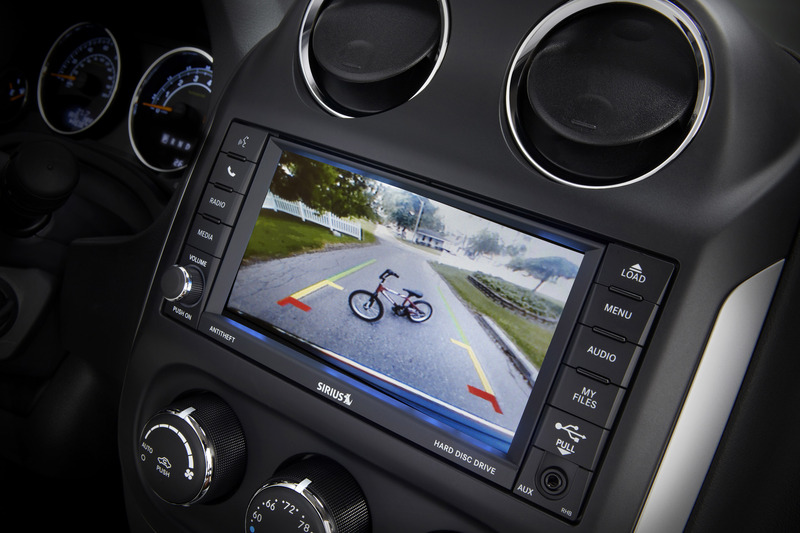 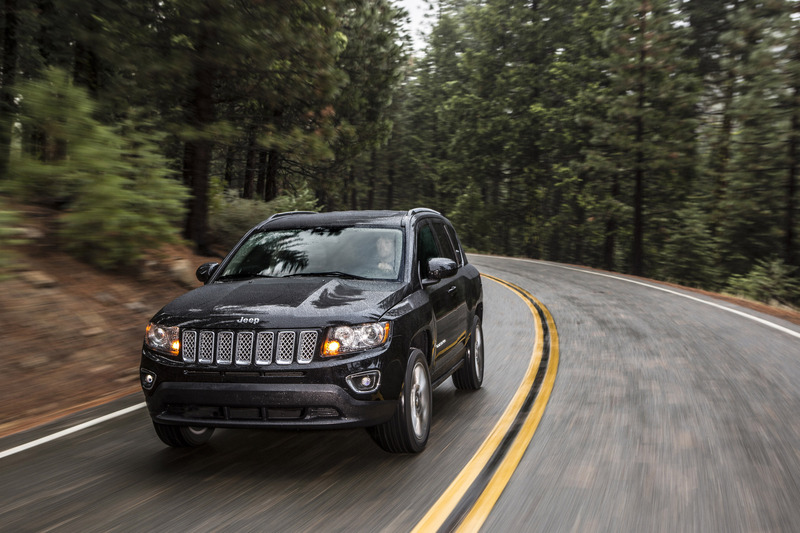 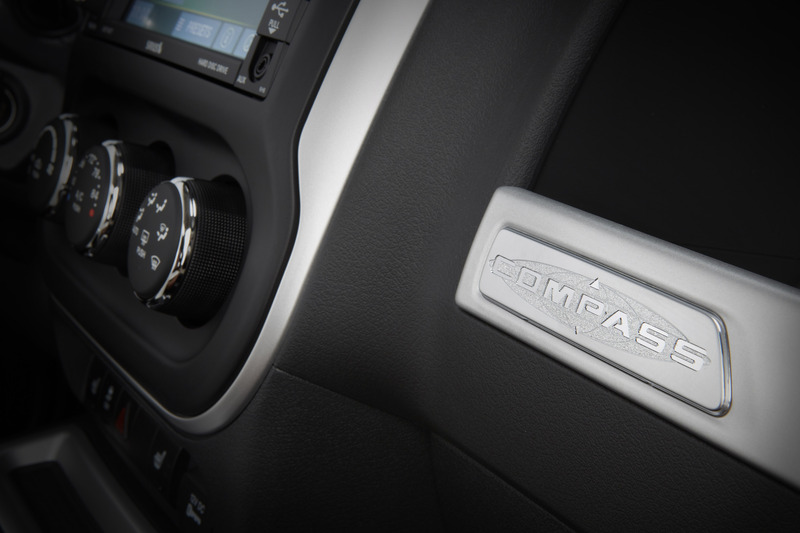 2014 Compass will be equipped with active Freedom Drive I four-wheel drive system with lock mode. 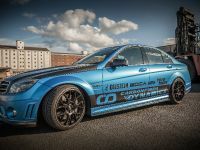 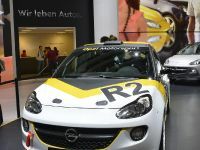 Engines included here are the efficient 2.2-litre turbo diesel that generates 161 hp (118 kW) and 320 Nm (236 lb-ft) of torque and two petrol World Engines: the 2.4-litre with power output of 168 hp (124 kW) and torque of 220 Nm (162 lb-ft) and the 2.0-litre developing 154 hp (113 kW) and 190 Nm (140 lb-ft) of torque. 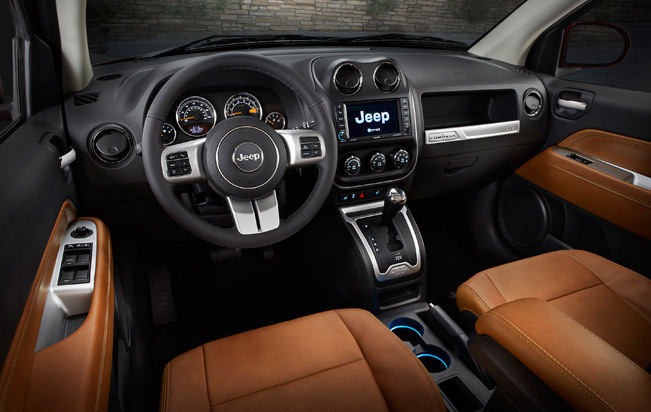 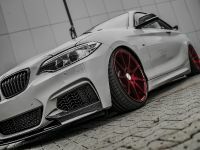 The range of exterior colors features the following: Black, Bright White, Billet Silver, True Blue, Maximum Steel and Granite Chrystal (Limited only). 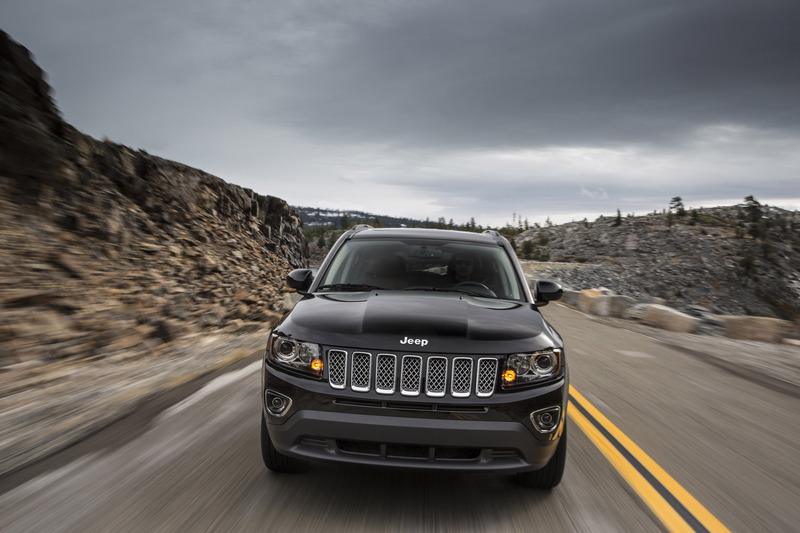 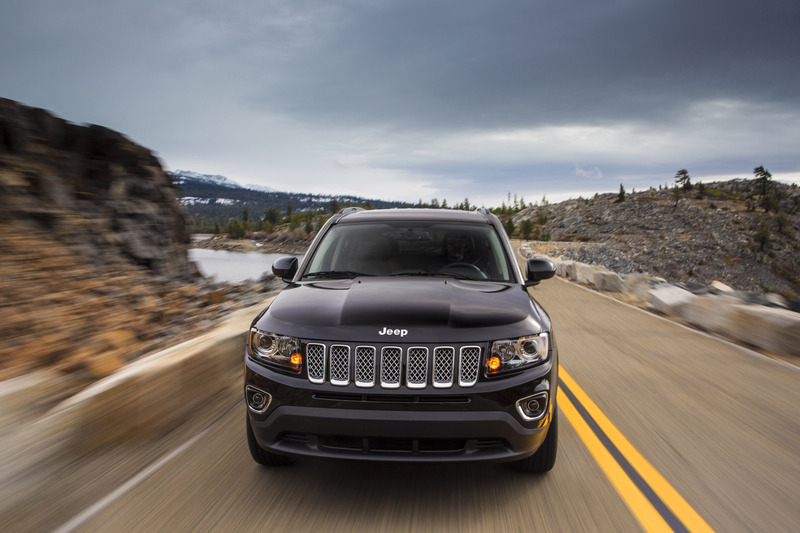 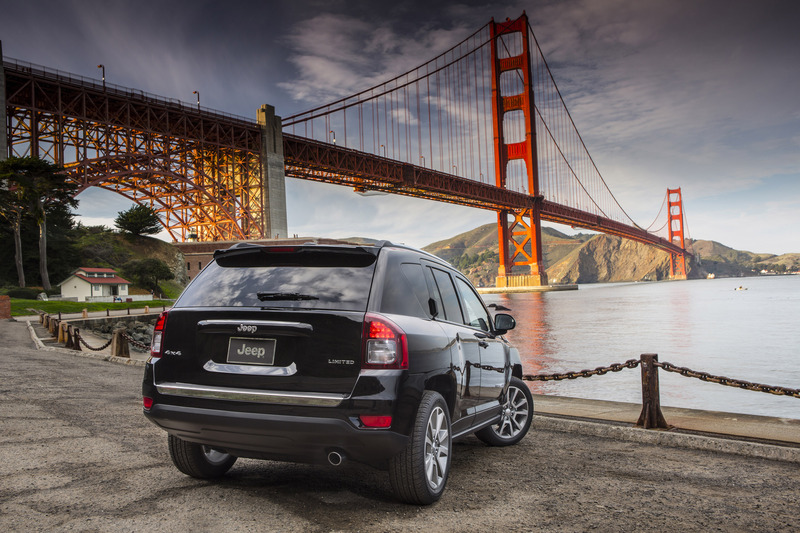 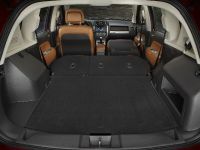 In addition, exterior of the 2014 Jeep Compass has been upgraded with specific updates. 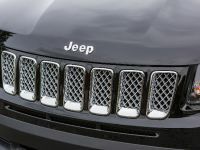 The Limited trim level for example has enhanced front grille with a plated upper grille trim and mold-in-colour Billet Silver grille texture. 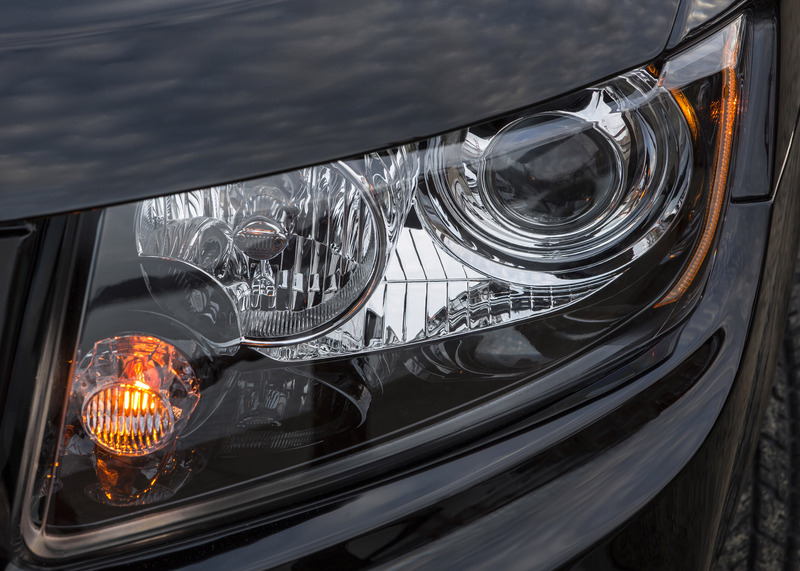 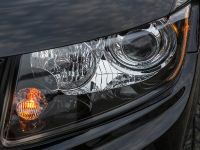 What is more, the halogen headlamps now have a black inner bezel, while those on the Limited and North models include chrome fog lamp bezels. 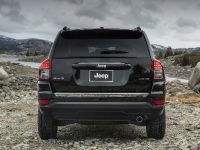 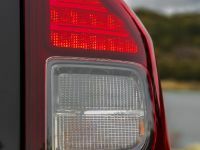 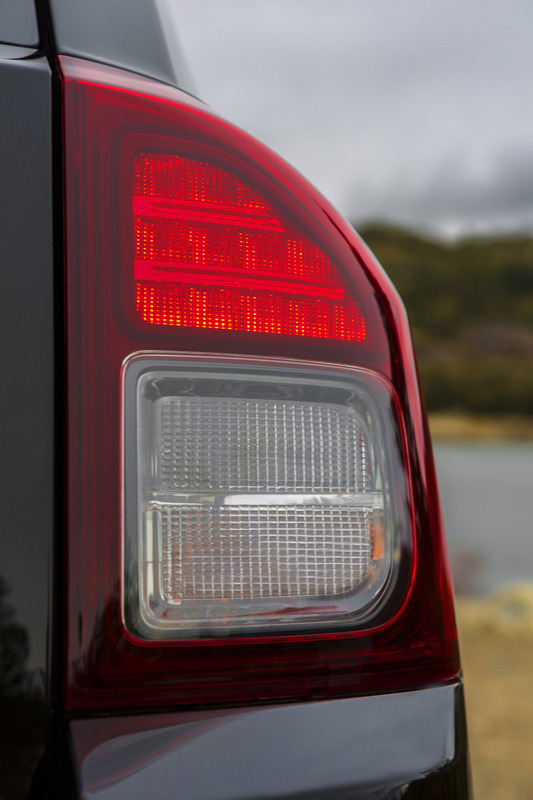 On the other hand, the rear features new tail lamps with a new "smoked" inner bezel and a plated chrome insert on the tailgate trim applique. 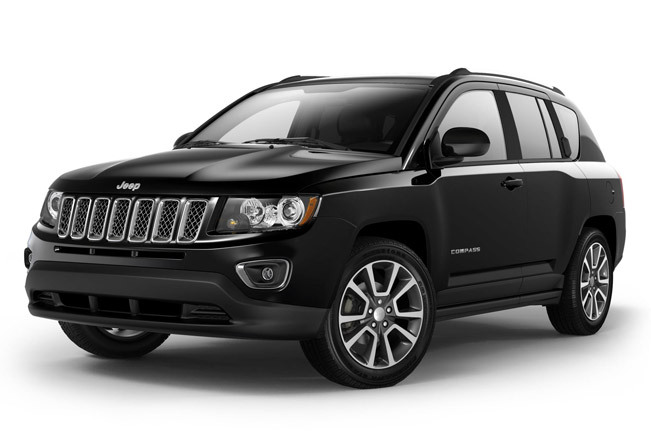 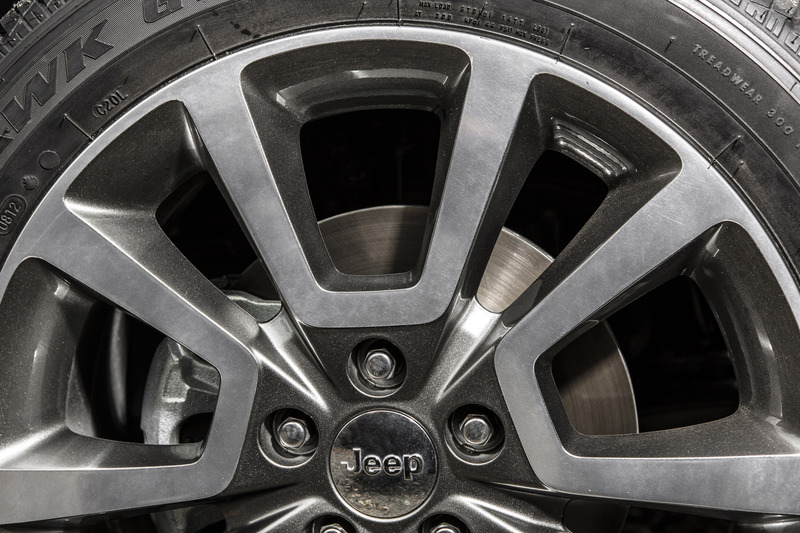 2014 Jeep Compass Limited runs on 18-inch polished face painted pocket aluminium wheels on Land also has a new "Jeep" badge on the tailgate. 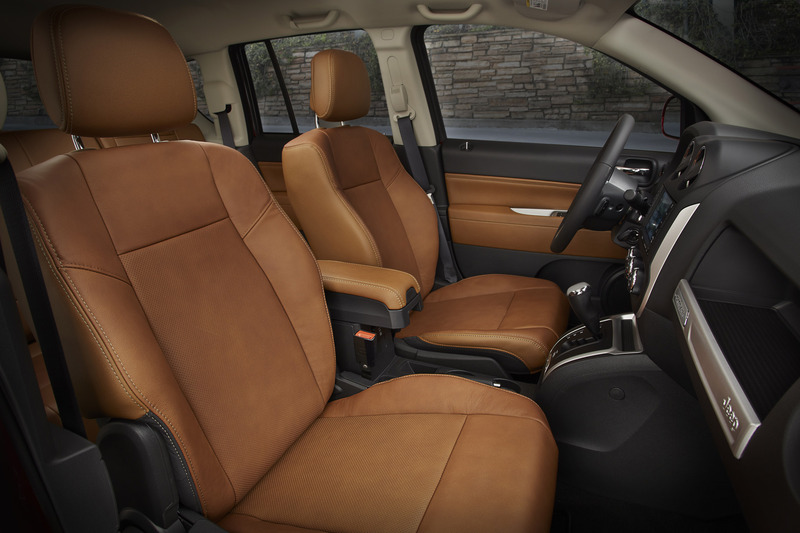 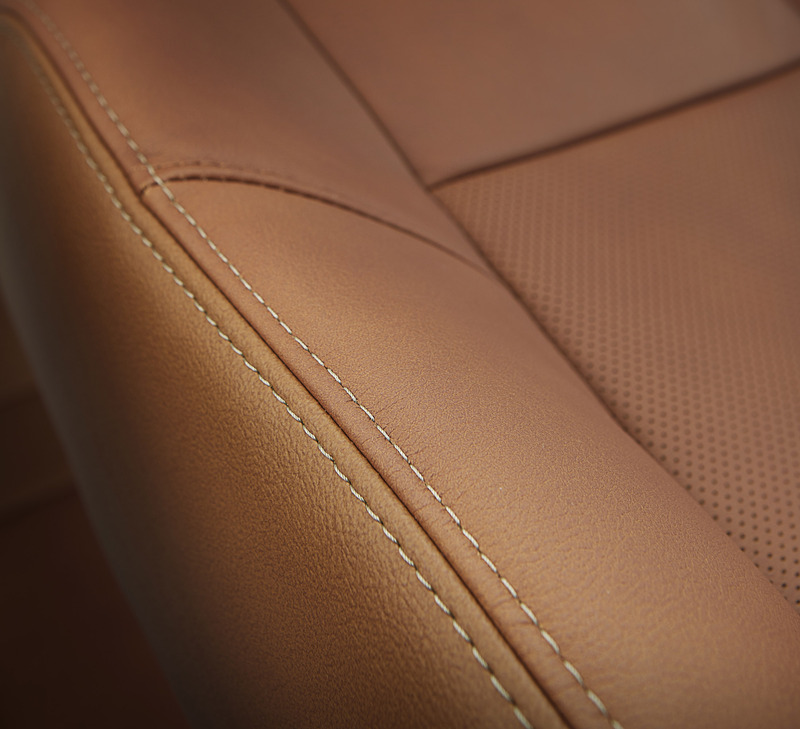 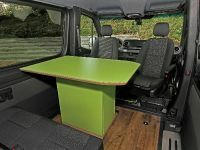 The improvements throughout the interior include new interior trim option on the Limited model and Dark Slate Grey perforated leather seating. 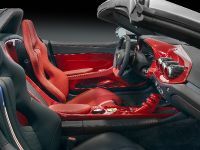 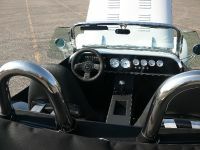 Soft-touch materials wrap the armrests and centre console lid, while a satin chrome finish adorns the centre bezel, shifter bezel and pull cups and round out the interior design upgrades. 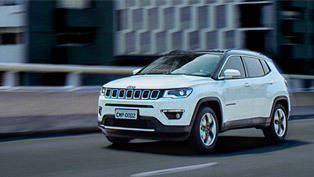 In terms of safety, the new Compass is equipped with multi-stage front airbags, side-curtain front and rear airbags, Electronic Stability Programme (ESP) with Brake Assist, Brake Traction Control, Electronic Roll Mitigation (ERM), anti-lock braking system (ABS) with rough-road detection and the sophisticated Hill Start Assist system. 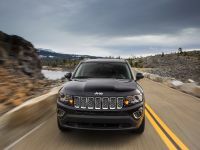 To go further into details, the new 2014 Jeep Compass Sport 4x2 model will be powered by the 2.0-litre petrol engine that delivers 154 hp (113 kW) and will be coupled with a five-speed manual transmission. 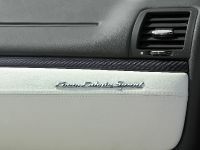 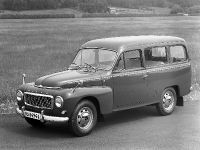 Standard features on this grade include the following: new acoustic laminated front windshield glass, body-colour exterior door handles and tailgate brow, projector fog lamps, 17-inch alloy wheels and chrome roof side rails, front-seat-mounted side airbags, advanced multistage front driver and passenger air bags, all-row side curtain airbags, front driver and passenger active head restraints, Electronic Stability Control, Electronic Roll Mitigation, Hill-start Assist, anti-lock disc brakes, manual air conditioning, power-heated fold-away exterior mirrors, illuminated keyless entry, premium cloth seats, illuminated cup holders, rear 60/40 split folding seat, fold-flat rear seat, Cruise Control and radio with CD/DVD/MP3. 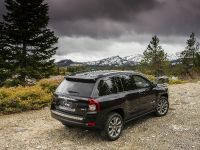 Next, the 2014 Jeep Compass North will be equipped with the same engine as the previous trim but will add also supplemental front seat side airbags, new body-colour exterior mirrors, deep-tint sunscreen glass, rear view auto dim mirror, cloth & vinyl seats, leather-wrapped steering wheel with audio controls, UConnect Bluetooth, USB port, and 6CD/DVD/MP3. 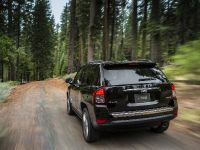 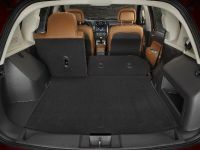 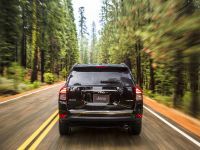 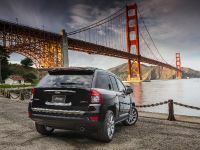 At last, the 2014 Jeep Compass Limited will have upgraded exterior design, which will include chrome grille insert, body-colour exterior mirrors, chrome exhaust tip, chrome accent on the rear fascia and new 18-inch alloy wheels with polished face and painted pockets. The interior of this trim will feature leather-trimmed front and rear seats available in Dark Slate Grey, premium contrasting stitched leather, power six-way driver seat with manual lumbar, heated front seats, Mediacentre with AM/FM/CD/DVD/MP3/HDD radio with 6.5-inch touchscreen and 40 GB hard drive, 18-inch aluminum wheels, automatic air conditioning, TPM (Tyre Pressure Monitor) and Parkview rear backup camera.